Handmade Macrame Throw Pillow: FREE SHIPPING! 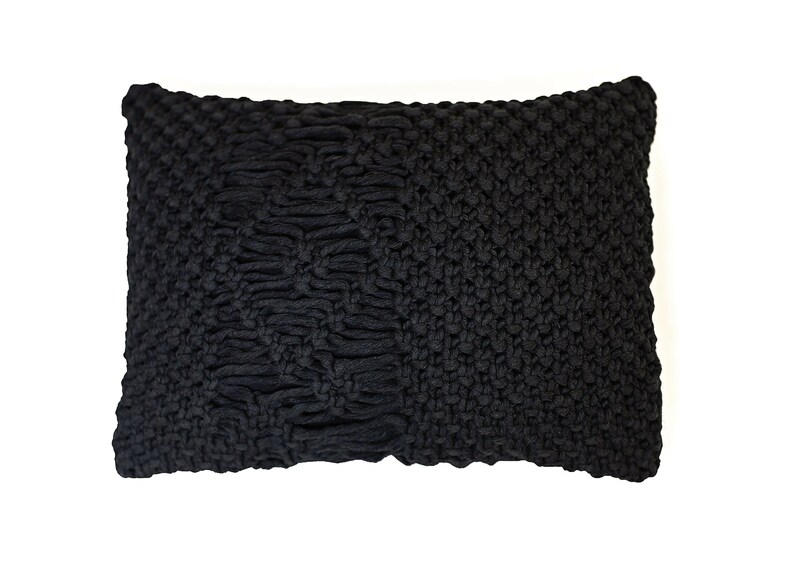 This decorative boho throw pillow cover is made from beautiful black 100% cotton and black cloth on the back. It comes with the pillow insert, which is removable! FREE SHIPPING! Sorry, no international shipping at this time. United States only.